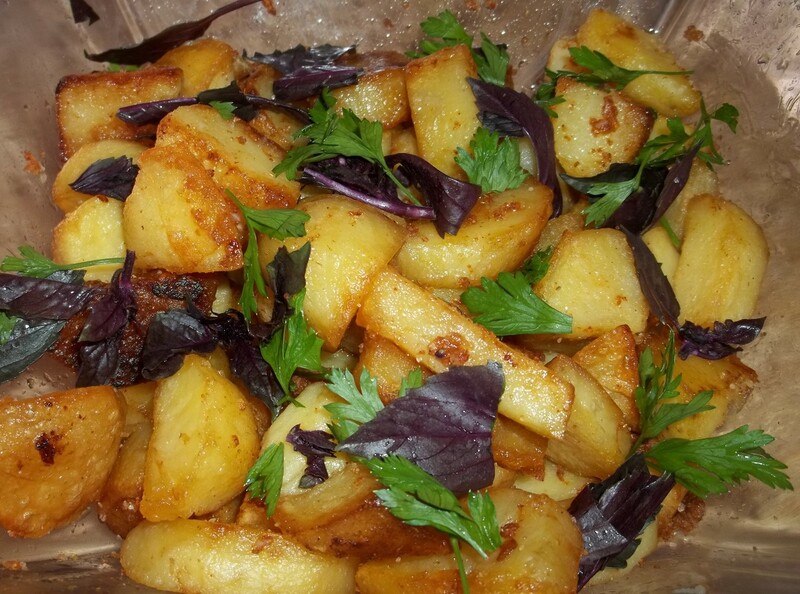 In this recipe we show how to make fried potatoes flavored with herbs and Svanetian salt. Svanetian salt (Georgian: სვანური მარილი), from Svaneti region in the mountainous north-western part of Georgia, has a unique fragrance and taste and is traditionally used as a flavoring for a variety of meat, fish, potato and soup dishes as well as a condiment instead of table salt. 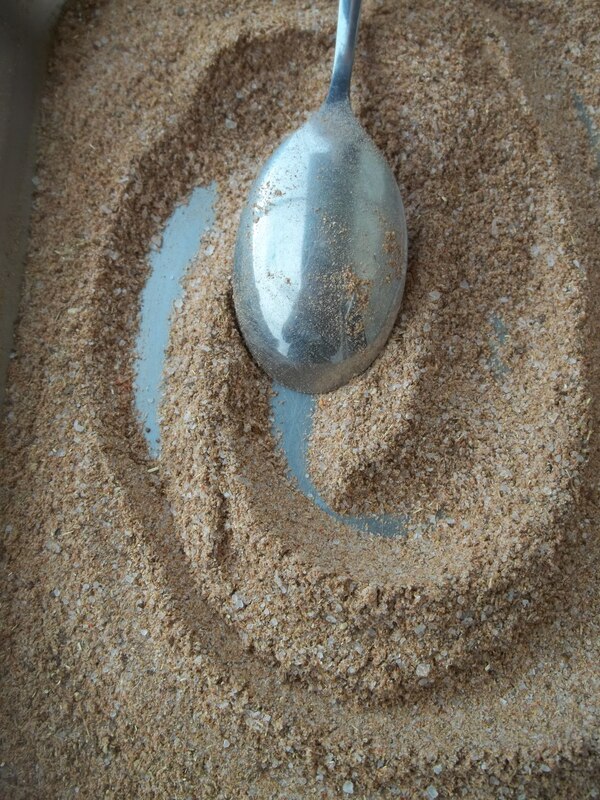 The salt mixture is handmade. 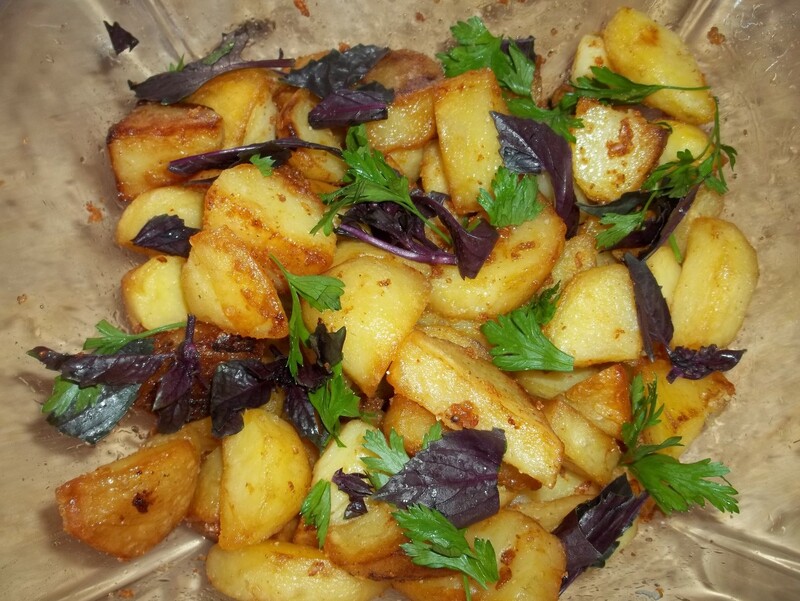 Ingredients: 1 kilo of potatoes, 20 grams of fresh parsley, 20 grams of fresh purple basil, and 8 tbs of oil. Ingredients (Svanetian Salt): 2 heaped tbs of dried coriander, 1 heaped tbs of dried dill, 1 heaped tbs of blue fenugreek, 1 heaped tbs of dried red pepper, 1 heaped tbs of marigold, half tbs of dried caraway. 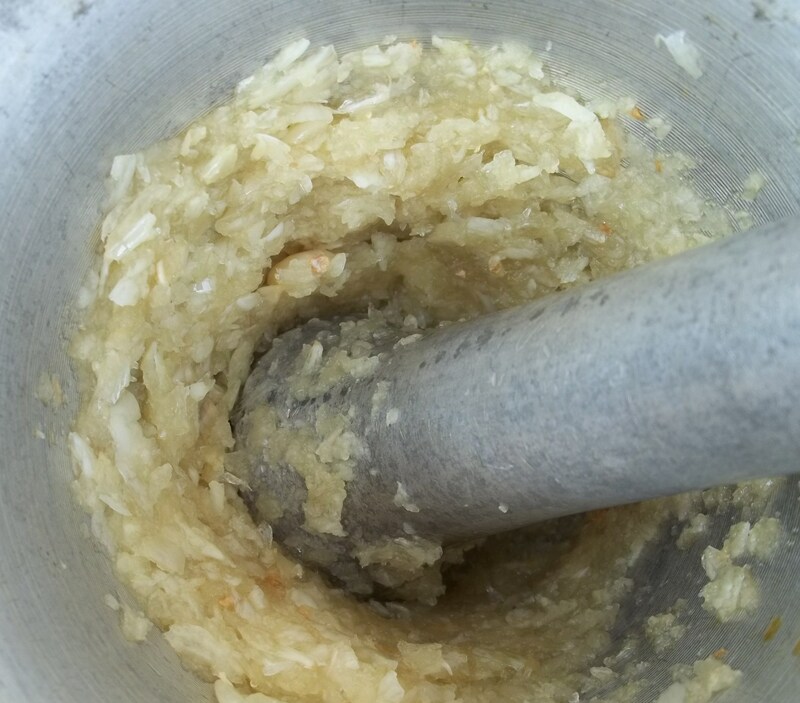 6 and a half heaped tbs of coarse white salt and 100 grams of garlic. 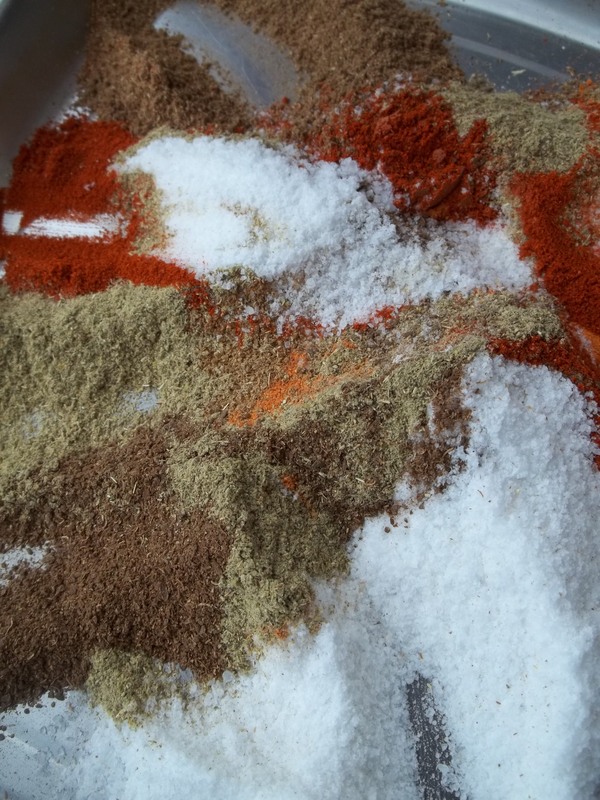 Preparation (Svanetian Salt): Add 2 heaped tbs of dried coriander, 1 heaped tbs of dried dill, 1 heaped tbs of blue fenugreek, 1 heaped tbs of dried red pepper, 1 heaped tbs of marigold, half tbs of dried caraway. 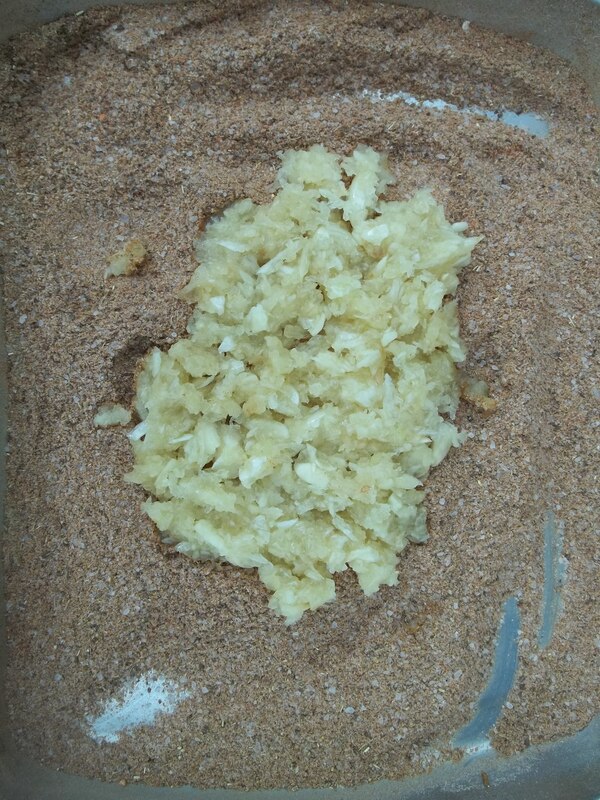 6 and a half heaped tbs of coarse white salt to a dish. Use a spoon to thoroughly mix all of the ingredients. 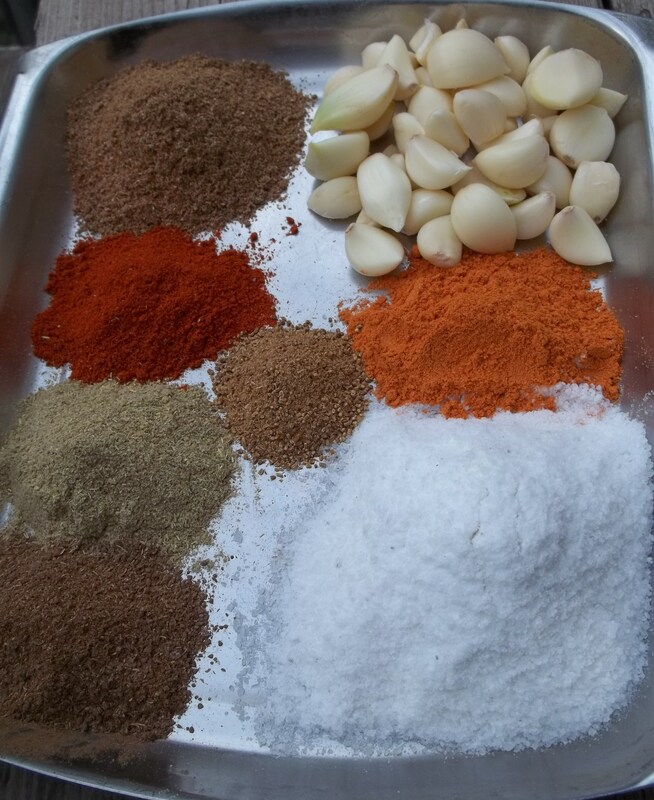 The mixed ingredients should look like the picture below. The mixed ingredients will feel a little moist and should look like the picture below. 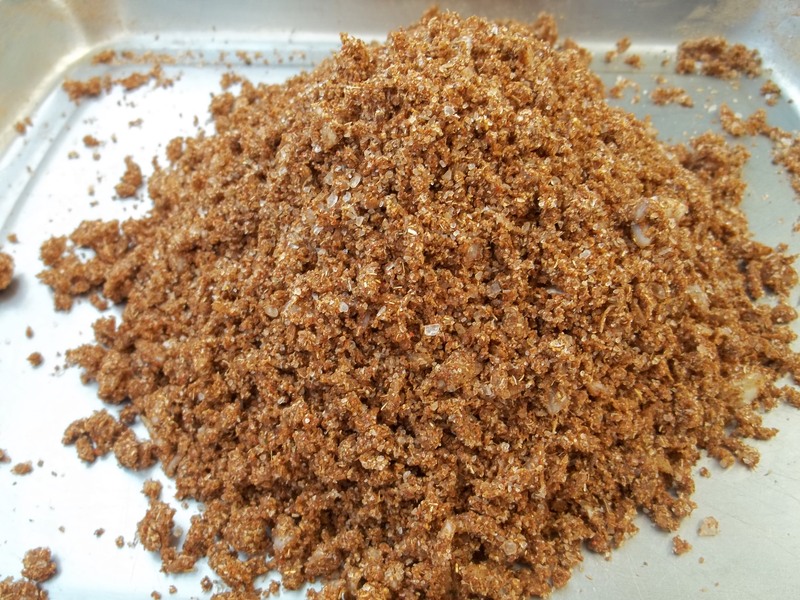 You will not need all of the Svanetian salt for this recipe and any leftover can be stored in a dry, cool place in a glass jar that has an airtight seal. 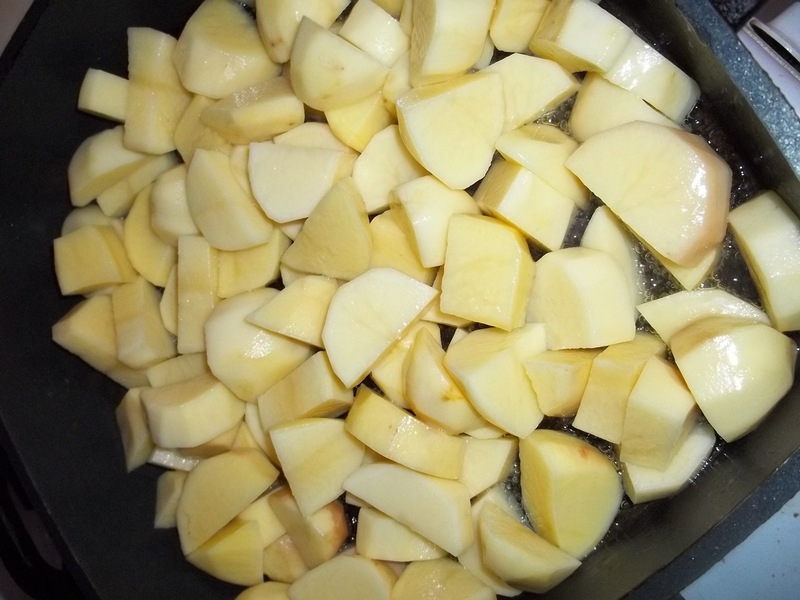 Preparation (fried potatoes): Wash, peel and cut the potatoes and add to a pan containing 8 tbs of hot oil. 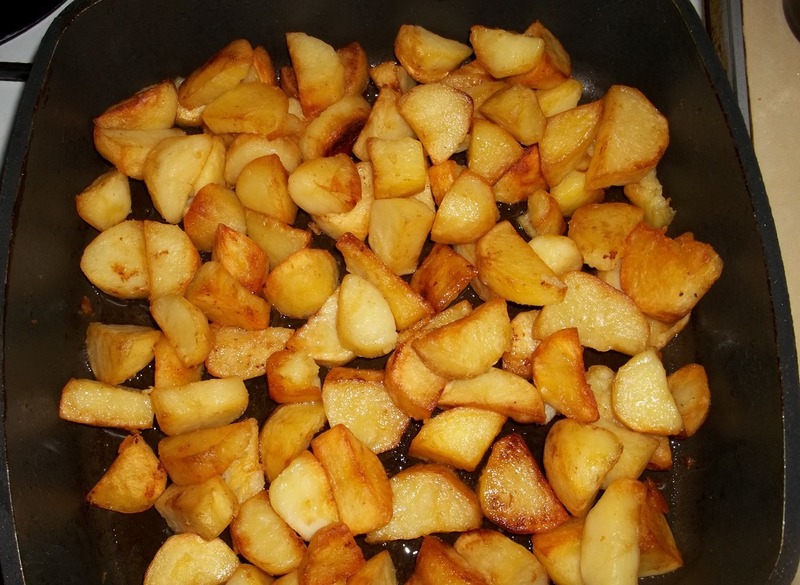 Fry the potatoes until they are golden brown. 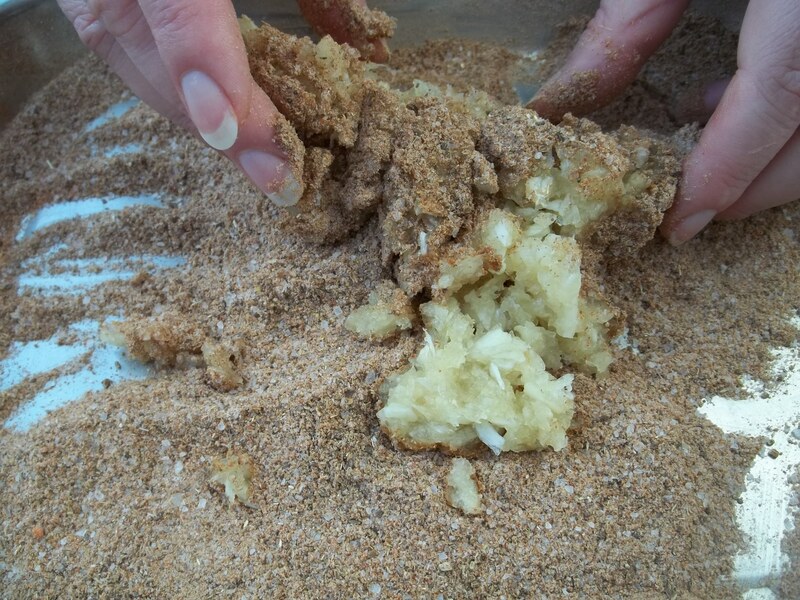 Add 1-2 tbs of the Svanetian salt to the fried potatoes and mix thoroughly. 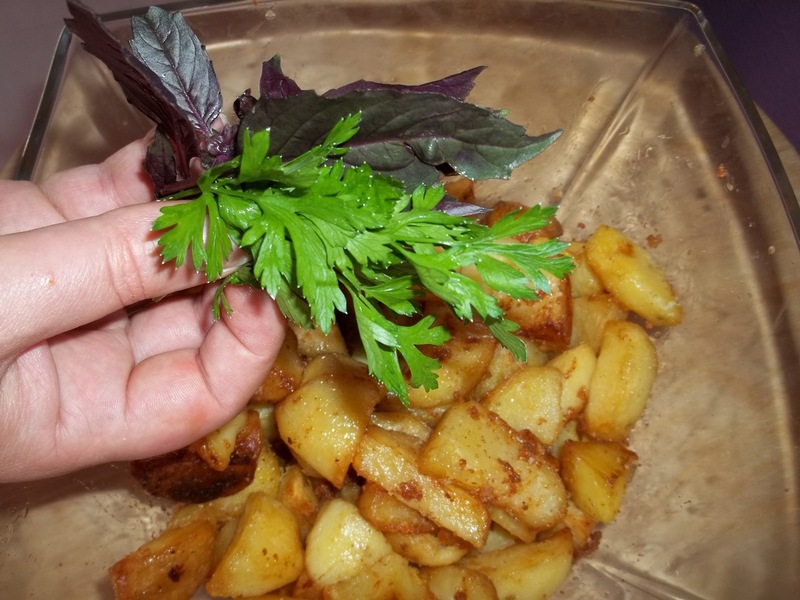 Chop the parsley and purple basil and add to the fried potatoes. Stir and serve. 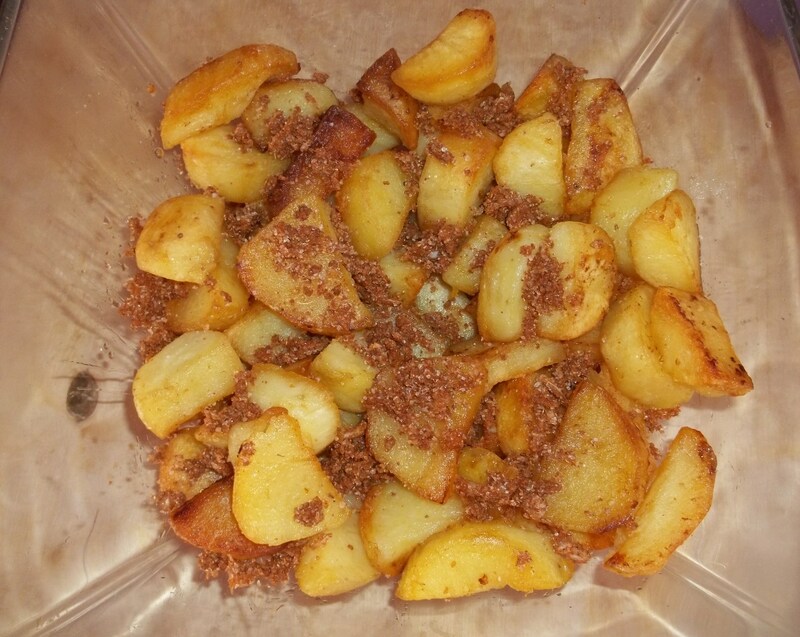 Enjoy your Fried Potatoes with Svanetian Salt!